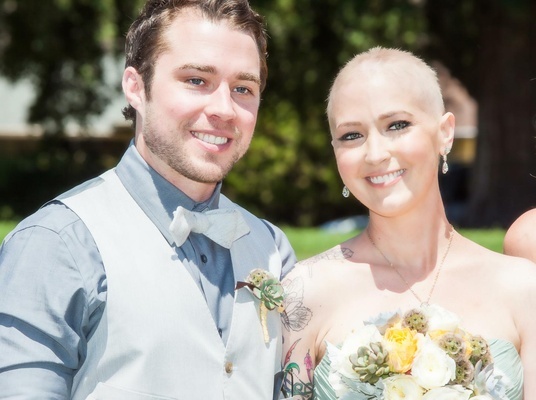 A fairy-tale wedding was not something Jen Bulik was expecting anytime soon – until her life was changed forever. 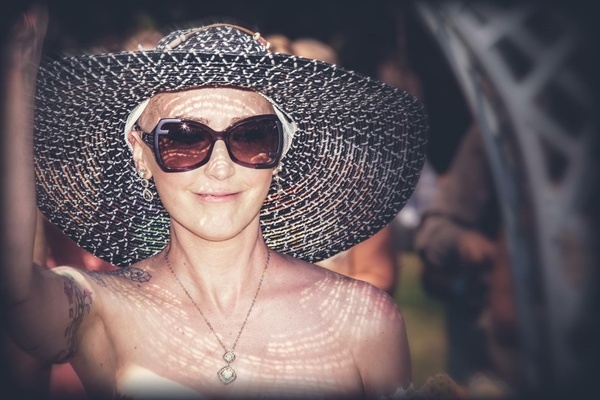 After a cough became unmanageable, Jen was diagnosed with Stage IV lung cancer and told by doctors that she had only six months to live. Blissfully happy in her relationship with boyfriend of six years, Jeff Lang, she had one wish for the time she had left: to be tied for eternity to the love of her life. 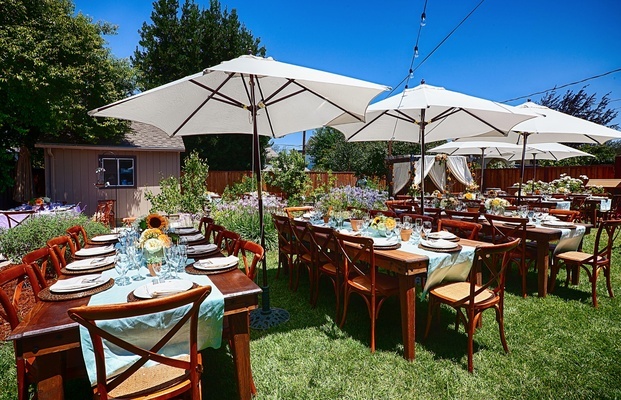 Jen and Jeff envisioned a humble backyard barbeque for the celebration of their love in front of friends and family. 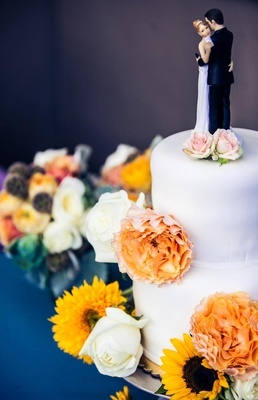 Much to their surprise, an event planner in their area offered to give the couple the wedding of their dreams, free of charge. 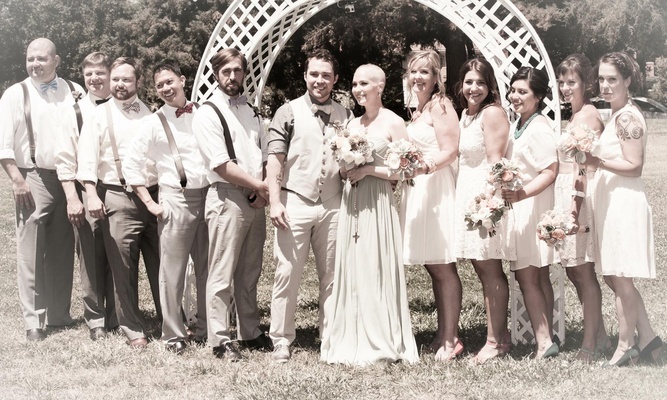 With the help of 65 wedding professionals, the couple’s nuptials were picture perfect. Jen was ravishing in a floor-length gown featuring an elegantly draped bodice with a sweetheart neckline in a seafoam hue. 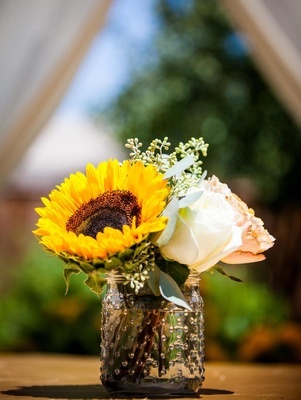 She carried a luminous bouquet of vanilla and yellow florals that also featured succulents and local, seasonal foliage. Her five bridesmaids donned an assortment of white dresses with knee-length hemlines, jewelry of their choice, and carried nosegays similar to that of the bride. 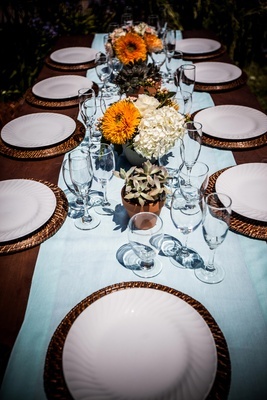 Jeff sported a classic blue button-up shirt paired with a white vest and bowtie for the alfresco nuptials. 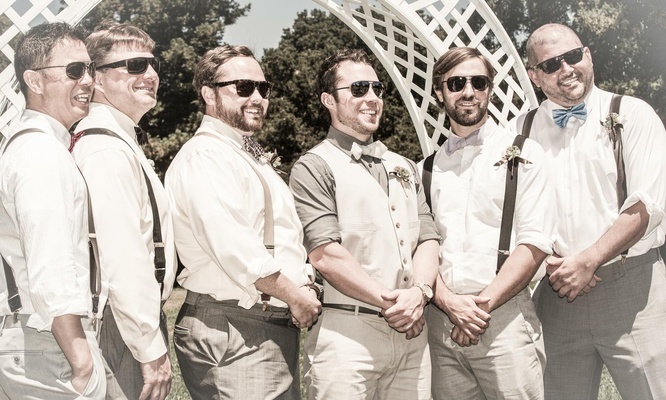 His groomsmen donned white button-ups, suspenders, and mismatched bowties. 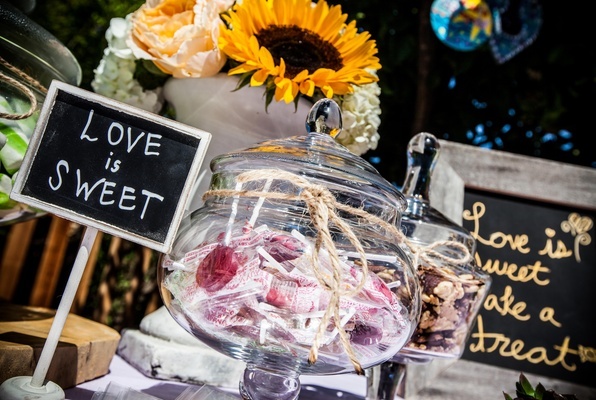 Sunglasses, rolled-up sleeves, and boutonnieres made of succulents completed the looks of the carefree wedding party. 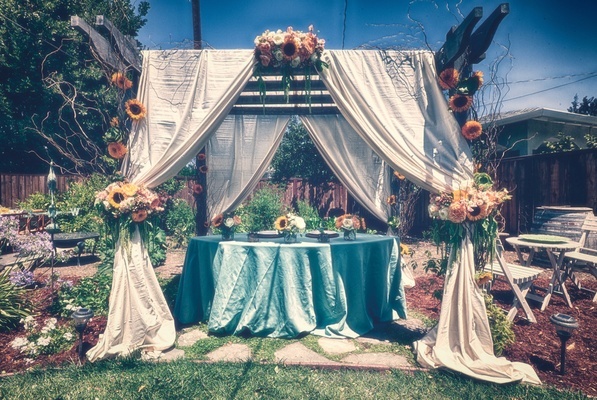 Beneath a floral ceremony arch, the couple recited their heartfelt vows to one another. 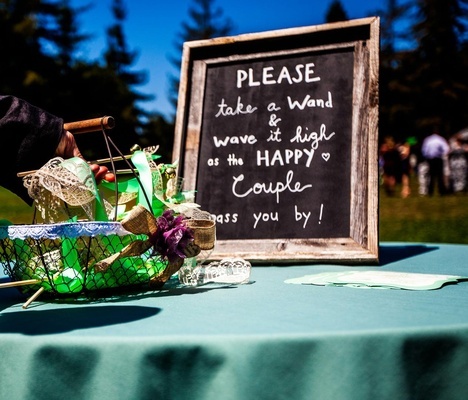 Guests waved ribbon wands as the happy couple took their first strides down the aisle as husband and wife. A quilt designed as a guestbook was available for signing, and following the touching ceremony, dinner and dancing ensued. 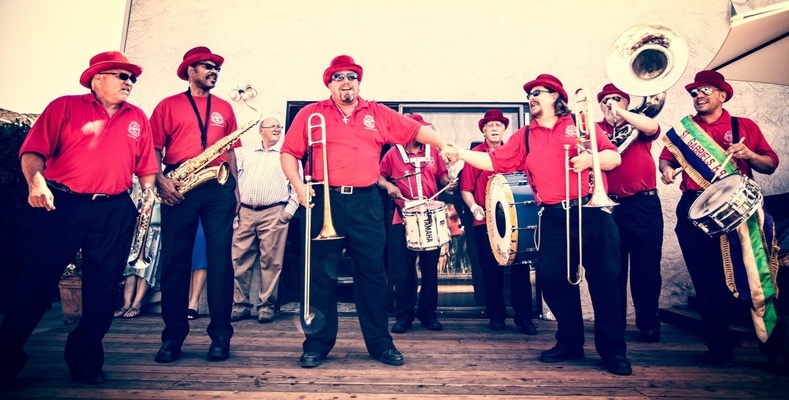 A taco truck provided a unique food option, a canoe filled with ice kept beverages cold on the hot summer day, and a New Orleans jazz band provided entertainment. 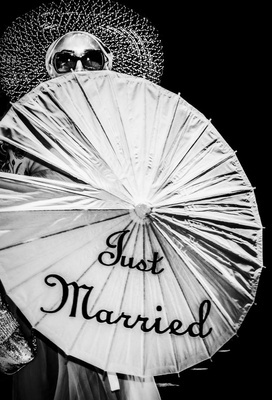 “There wasn’t a dry eye in the crowd,” says Erica Ota, the couple’s wedding planner and mastermind behind the quickly planned event. 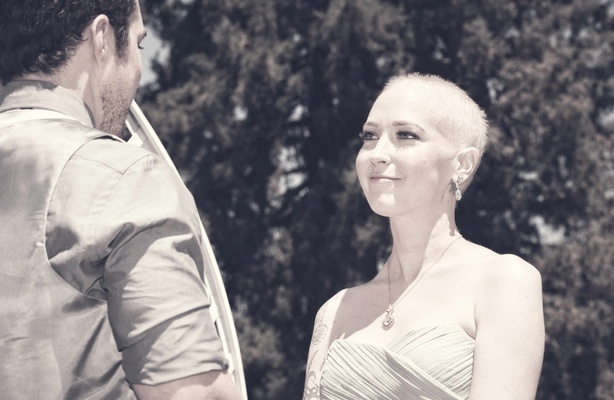 “I’d managed to avoid tearing up for the entire day until [I watched] them dance and [saw] their undying love for each other on full display.” Sadly, Jen lost her battle with cancer on October 10, 2013. 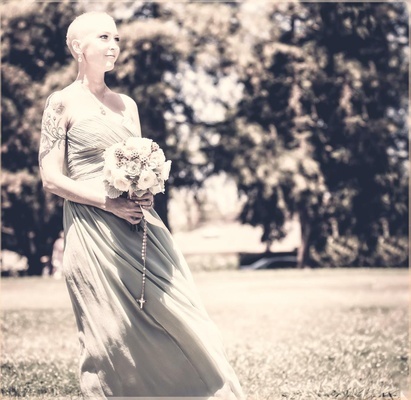 "My lovely wife, best friend, and constant companion continues to live on in my heart, and in your heart," Jeff wrote in a message to Jen's fans. "She's talking to me constantly."